Christmas came early in my kitchen this year. You see, it was Cyber Monday and there’s this feeling that the deals will just pass you by — and I just caved. 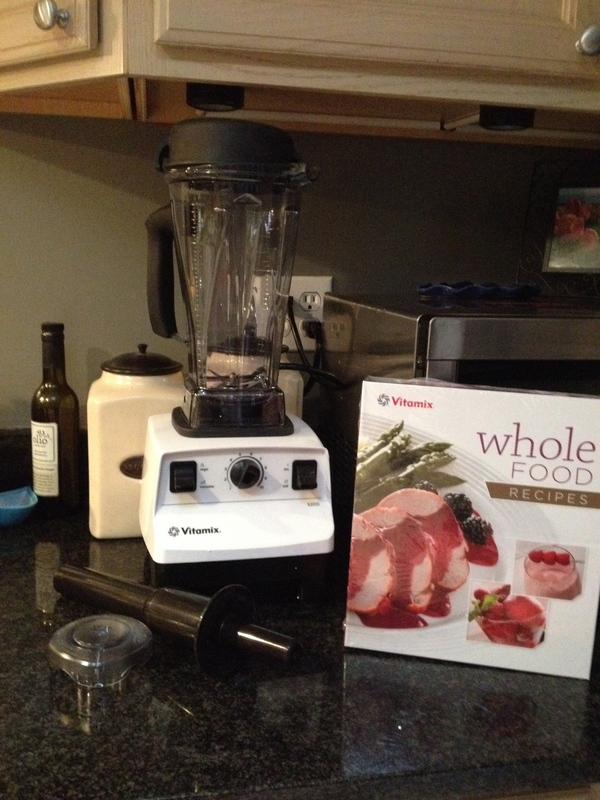 I let my husband let me buy what I’ve wanted all year: a Vitamix. Needless to say, I don’t exactly feel ahead on the gift-giving. Or do I? I don’t want to give away too many secrets in this post that certain family members may or may not read, but remember all that canning I’ve been doing this year? And the food-swapping? I participated in another Alexandria Food Swap this past Sunday — for which we braved icy snowstorm conditions, mind you — and scored big time yet again. And, no, I’m not sharing that kimchi for Christmas. It’s already half gone. In theory, I only need to get half the gifts as usual this year, since my husband’s side of the family will be celebrating my brother-in-law’s wedding the weekend before (and we’ve decided our togetherness in Texas will be better than any gifts we could buy :-). I decided not to send around Christmas cards this year either. 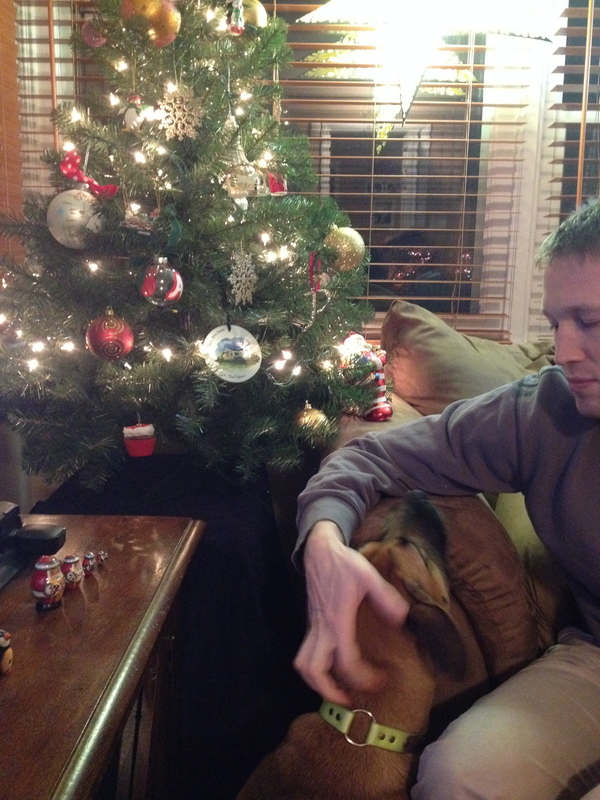 I know you all want to see the photos of us (and, don’t forget, our dog) from 2013. But, let’s be honest, you’ve already seen most of them here and on Facebook. And, let’s be extra honest, I take more pictures of food than of us these days, so the pickin’s are slim. While I still like receiving your cards (I really do! ), I’m kind of feeling like this guy this year about sending around our usual. So I’m taking a year off to consider their purpose… or maybe to write a pages-long opus on the year that has transpired and force you all to read it. In the meantime, I’ve been getting into the spirit in other ways, and working on a list of gift ideas worth sharing. Here are a few that have come across my radar. Feel free to add your ideas in the comments! You can order custom or pre-made baskets, which start at $38, here or at farmers markets (Penn Quarter, H Street, Silver Spring and Dupont Circle) through Jan. 1. I learned at the recent Farm-to-Table conference that food banks can accept canned goods from home canners, according to Michael McKee with the Blue Ridge Area Food Bank in Virginia. He said they are largely protected by a good samaritan clause in the food safety laws. So, if you have extra canned goods this year, consider donating them to your local food bank (check to make sure each one accepts them first). Willowsford Farm in Loudon County, Va., is selling not only produce but also baked goods made by Kate Jansen of Willow Restaurant this holiday season. Signature breads, savory tarts and a Buche de Noel are all available for ordering online. Orders made by Dec. 20 can be picked up at the holiday market (located in the Farm Garden on Founders Drive in the Grange) on Monday Dec. 23 between 3:30 and 7:30 p.m.
And if you’re looking for a food-minded event to attend that’s for a good cause, look no further. Tickets are now available for the sixth annual Sips & Suppers, hosted by José Andrés, Joan Nathan and Alice Waters, on Jan. 25 and 26. The event(s) support food nonprofits DC Central Kitchen and Martha’s Table that are addressing the challenges of hunger and poverty in the nation’s capital. I’ve had the pleasure of writing about DCCK in particular, and it really is a spectacularly efficient and life-changing organization. Tickets for the sips event are $95 and the suppers go up from there. If you’re looking for local business, food or otherwise, to support this holiday season, check out Think Local First DC‘s list of locals. I got to write about some of these businesses that are actually making goods — shirt stays and leather belts, letterpress cards and candles — inside the District, and they’re certainly worth your support. I also like to shop local (and consignments) in good Old Town Alexandria for gifts. And Eamonn’s is a great place to stop for hot, cheap fish-n-chips on a cold winter’s night. What are you excited to gift this year? May you have a blessed holiday season with you and yours! Thanks for the shout out to the farm, Whit!! Willowsford Farm Holiday Market will also feature our new Heirloom Tomato Basil Sauce (by Chef Bonnie Moore), Heirloom Midnight Black Turtle Beans, Goat Cards (water color prints) by Alice Powers (that I need to get up on the website ASAP), luffas (which come from locally grown gourds, not the bottom of the sea – a fact new to me in 2011) AND two of the original goat paintings from Alice Powers are for sale too! Goat cards!! Awesome! Thanks for the additions Deb! P.S. Where did you get yours? I love the white version.